If you’re looking to stand out as a man of style and supreme taste, our driftwood leather is the perfect choice. 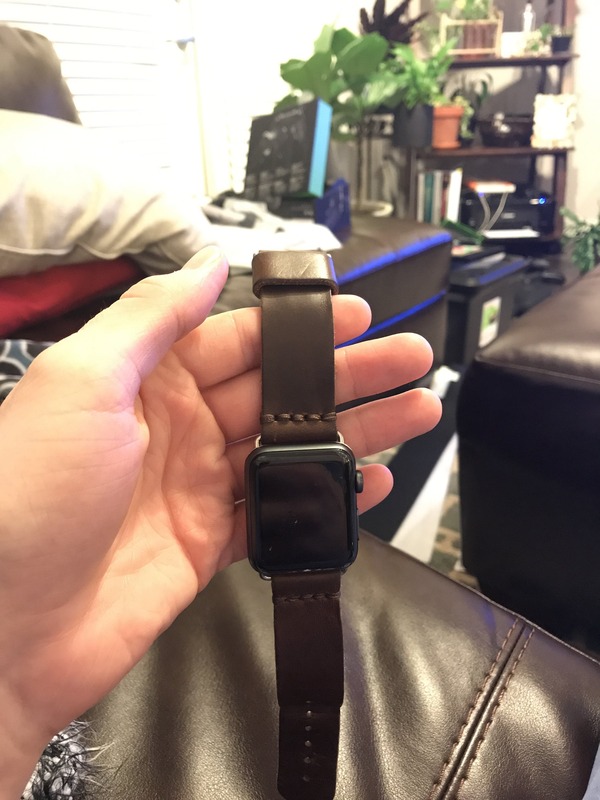 A brown that’s classic enough to pair with any outfit and unique enough to portray your personal taste, our driftwood strap is sure to make your Apple watch stand out. Overall this is a nice watch band. I think I would like for it to be a little more stiff. It is a little hard to get it to feed thru the clasp etc because the leather is not stiff at all. Burnishing the edges of the leather would also be a nice touch but not sure if that is possible with this leather. I really enjoy this band for its rugged appearance and supple feel on my wrist. I have had a lot of comments from work on this band. The leather is of excellent quality and has that leather smell to go with it. I will say that the band was a little lighter than I expected. I added yellow saddle soap and it brought out the rich dark tones in the leather and added protection. Now it’s perfect. I also like that you can customize the stitching to your liking. The price is well worth what you are getting. I definitely recommend this Apple band and will look into to more products from PopoV! I enjoy my watch strap, I like the durablity, the comfort with no breaking in time. It's so comfortable, I don't realize I have a watch on my wrist. I will definitely would purchase more in the very near future.